Born 20 April 1896, Rothesay, Scotland. Sheina Macalister Marshall (1896-1977) was a University graduate who was a major figure in British biological oceanography and one of the first women to be made a Fellow of the Royal Society of Edinburgh in 1949. Marshall was born in Rothesay and educated at the Academy there and at St Margaret's School in Polmont. She came to the University during the First World War and graduated BSc with honours in Zoology in 1919. She then held a Carnegie Fellowship from 1920 to 1922 and was awarded a DSc in 1934. During her distinguished career she authored more than 60 articles. In 1922 Marshall was appointed to the staff of the Marine Biological Station at Millport where her important work with Andrew Pickin Orr led to an invitation to join an expedition to the Great Barrier Reef with FS Russell and JS Coleman. She retired from the Deputy Directorship of the Station in 1964 but remained there as an Honorary Fellow after the Universities of London and Glasgow took over its management in 1970. 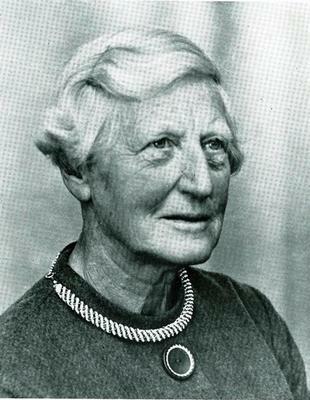 Along with Ethel Dobbie Currie, she was one of the first women to be elected to the Fellowship of the Royal Society of Edinburgh in 1949 and she was awarded the Society's Neill Prize in 1971. She was elected a Fellow of the Royal Society of London in 1961, and awarded the OBE in 1966. The new teaching building at the Scottish Association for Marine Science centre at Dunstaffnage near Oban was named in her honour in 2010.